Mark Arshinkoff created a new topic ' Range Rover Classic Parts Sale, coffee and Donuts' in the forum. 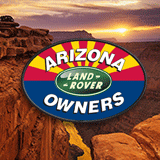 I am having a Land Rover garage parts sale this Saturday morning (2/6/16) from 9:00 am – 1:pm. Most of the parts are Range Rover Classic parts but I do have some P38 and Discovery II parts. ALL PARTS ARE OFF THE VEHICLEs SO NO Part Pulling is necessary. I am in the homestretch of a 4 year Range Rover restoration project that included an engine swap to a 400ci/ 400hp Chevy Small Block engine so it’s time to clean out the garage and find new homes for all the extra spare parts. My project will also be on display for those who want to see it or have questions. •	lots more & best of all, they are already off the vehicles for easy picking. Mark Arshinkoff created a new topic ' 1996 Range Rover donor parts car' in the forum. Selling a 1996 Range Rover P38 donor parts car for $500 and offering it first to AZLRO before posting on Craigslist. I am selling the whole car, not interested inparting it out. This Range Rover was running but the engine is bad and has a spun rod bearing. The engine might be fixable but it would require tearing down to inspect the block for damage. Other than a bad engine, the vehicle is pretty much complete. The transmission and T-Case alone are worth more than I’m asking but I don’t want to part it out. Vehicle is at Rover Tech’s in Scottsdale and will need to be towed. Clear Title.